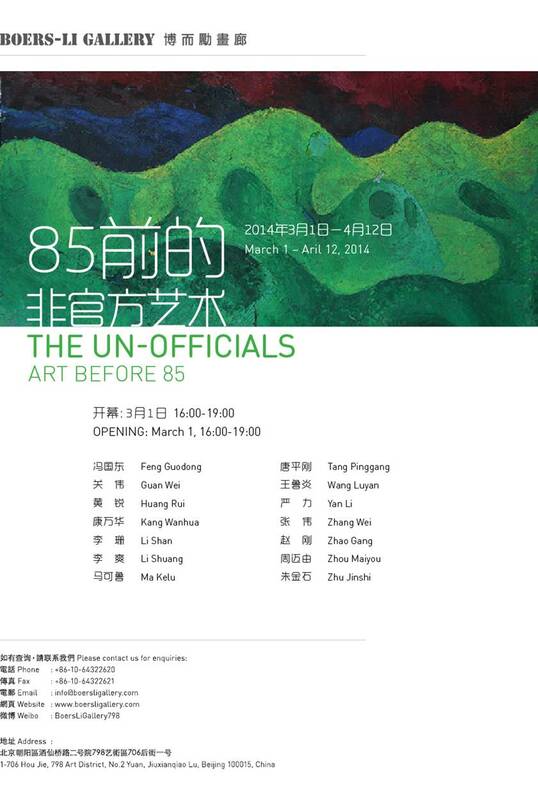 Boers-Li Gallery is pleased to announce the opening of our first show of the year, THE UNOFFICIALS | art before 85, on March 1st, 2014. As it is in our days, around 1980, the Chinese art world experienced one of its most dynamic and redefining moments. The exhibition THE UN-OFFICIALS | art before 85 features a group of artists who were pioneers in this early stage of exploring the contemporary. This exhibition shows how some artists were to liberate themselves from politically controlled artistic expression through new artistic practices, which were experimental in all possible ways – from performing a politically motivated a-political aesthetic attitude, or exploring the pure individual areas of the subconscious and a non-objective abstract expressionism, to actively engage in scrutinizing political conditions. Making art was not a trendy thing to do in those days. Instead of a market regulating system, it was the individual motivations and social dynamics of the few that formed the basis for their determination of instigating change that kept their art practice going. 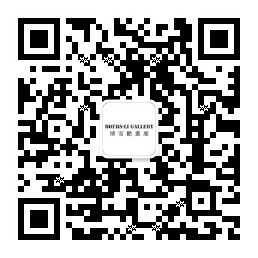 The dynamics of change was strongly pushed forward by the active members of self-established artist groups Wuming (No Name) Painting Society and Star Painting Society, together with a few other independent artists, such as Feng Guodong and Kang Wanhua. The Wuming – formulated in 1973 – began with a search for pure art in a time when expression of self was under strict state mandate. Amongst them, Li Shan, Ma Kelu and Zhang Wei, as important members of the group, chose to paint a plein air in an impressionist style; their footsteps are imprinted in all the public parks in and around Beijing. Their influence also reached artists like Wu Guanzhong, who admired their approach. . Although the differences were not always strongly demarcated, the other group of artists, Star Painting Society, was more politically driven from the beginning. Its founding members include Huang Rui, Li Shuang, Yan Li, Tang Ping Gang, Zhao Gang, Zhou Maiyou and others. Artists gathered under the umbrella of Star for a kind of collective outcry against governmental control with an urgency to break free and to be heard. They organized two public group exhibitions in 1979 and 1980, for which they received much national and international attention over the years. Some more some less collectively organized, without exception, these artists revolutionized the local art practice into one which was more open and internationally oriented. Against all regulations and practices in the early days of the 80s – some of them were even imprisoned for their strongly articulated individual artistic and life style, they were capable of introducing a broad scale of – western - modernistic styles, such as Surrealism, Tachism, Cobra, Abstract Expressionism and Action Painting. It all took place in an experimental way, in absence of a strongly articulated aesthetic regime. “These earlier works leave much more open to the discussion on the role of medium, material, and form in the development of painting and multi-media collages during the period from the late 1970s into the first half of the 1980s.” (Berghuis, Thomas J., Paths to Abstraction in Chinese Contemporary Art). After some years of research, THE UN-OFFICIALS | art before 85 brings together some of the more outspoken art works made in those roaring years, some of them shown in legendary exhibitions, most of them rarely if ever. Despite the artists’ division into different groups, the mission of these artists remains unified: to walk a path far from the “official bureaucratic march”, to discover an un-official one through experiment in art.